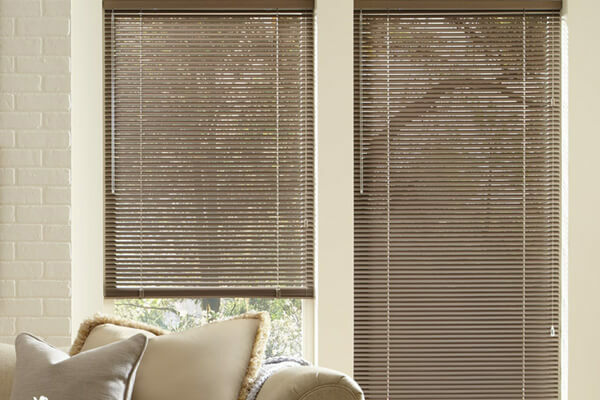 Achieve a sleek, clean, and uncluttered look in your living space with a metal blind window treatment solution. 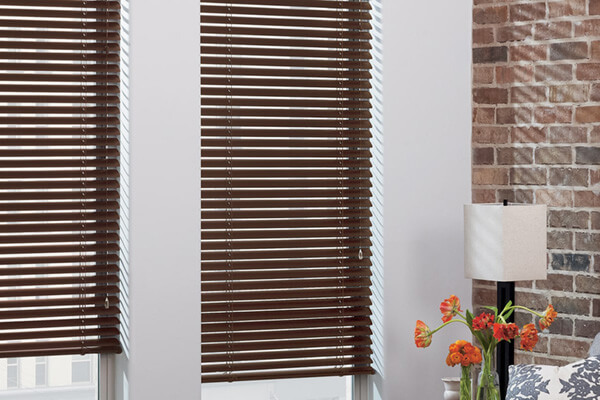 Widths 7 3/4" to 144"
Achieve superior light control and a sleek aesthetic by installing Modern Precious Metals® Aluminum Blinds from Hunter Douglas in your Overland Park residence. Your style options are nearly endless, with a broad array of special finishes, textures, and hues available. If you're looking for an ultra-modern presentation, combine thin aluminum slats with real wood accents, or create a truly unique look by mixing and matching custom colors. 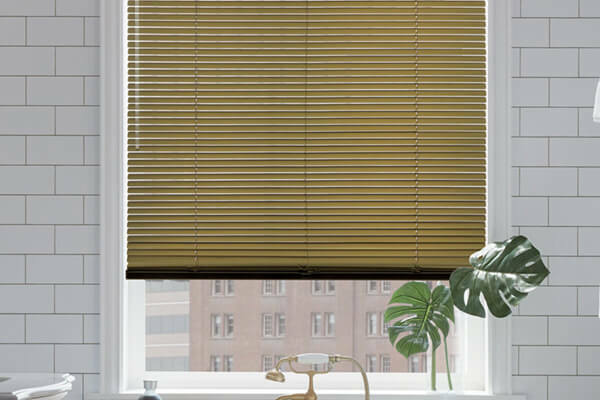 Don't forget about Hunter Douglas' PowerView® Motorization and de-Light™ upgrades!